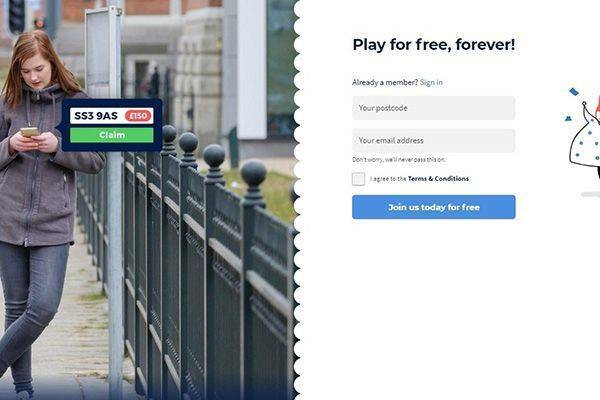 Payment options : n/a – free to play. Customer support : contact form. 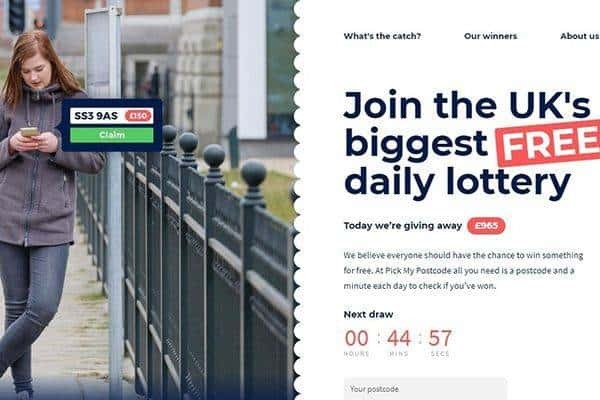 Free Postcode Lottery was one of the leading free lottery platforms, and it is not completely revamped to a new brand called Pick My Postcode. This revamp came with a complete rethinking of the experience free prize players are looking for. The result is stunning. The platform gives users the options of earning some of the advertising revenue the site generates. There are a number of daily draws – Main Draw, Video Draw, Survey Draw, Stackpot, and Bonus Draw – that each participant can potentially win. It’s not uncommon for players to win more than one draw in a given day. While there’s no mobile app – iOS or Android – the website is responsive and offers a solid mobile view experience. Since the gameplay is simple – you participate in a daily draw and login to collect winnings – the mobile view gives a polished, native application like, user interface. There are no promotions as participating in the daily draw is completely free for UK based players. There’s nothing to risk and no bonuses given as no deposit is needed. Complete a short registration and you’re in. Since playing Pick My Postcode is completely free and only requires registration, there’s no need to complete a deposit. Winnings will be transferred to winners by PayPal. Those who doesn’t have a PayPal account will be given guidance and assistance with opening an account. Those who doesn’t want to open a PayPal, can reach PMP’s customer support for advice – they are willing to complete payment using other payment methods. There’s an FAQ section that is highly accessible for any players and visitors interested is self-catered support. This help section has a search bar and categories for quickly navigating within the issues. The one review aspect Pick My Postcode are lacking is customer support – there’s just one mean for reaching someone. The Contact Us page only has a contact form. Unfortunately, there’s no phone number, email address, or even expected response time. Is Pick My Postcode legit or fraud? when I reached this part of my review of Pick My Lottery I had to rely on Free Postcode Lottery’s past results since Pick My Postcode went live on May 2018 – not enough time for a thorough inspection. Fortunately, this was made easy as Free Postcode Lottery had a record that is completely clean – players loved it and had only good feedback. There’s the same pattern of content players when reading through reviews of Pick My Postcode. Also, their social page is also filled with happy winners. All indications are of a legitimate brand that has no malicious intents. If you’re a lottery player, who is based in the UK – you need to be resident to a registered UK address in order to participate – and wouldn’t mind spending a couple of minutes a day visiting the site in order to potentially win small prizes, this is a brand you have to try! The user’s experience is one of the best I’ve encountered within the niche, and it has strong trust signals that indicate the operation’s legitimacy. This is a new brand, but actually a continuum to a very successful brand called Free postcode Lottery. PMP has a remarkable transparency – history, team, and winners – that is a strong signal for trustworthiness. The platform has am app like mobile view experience – the closest UI to an app that is possible using web technology.